Instant Knockout is fat burner and an energy boosting diet pill that was originally developed to support the training and fat burning needs of professional fighters. The original restrictions on its distribution are no longer in place. 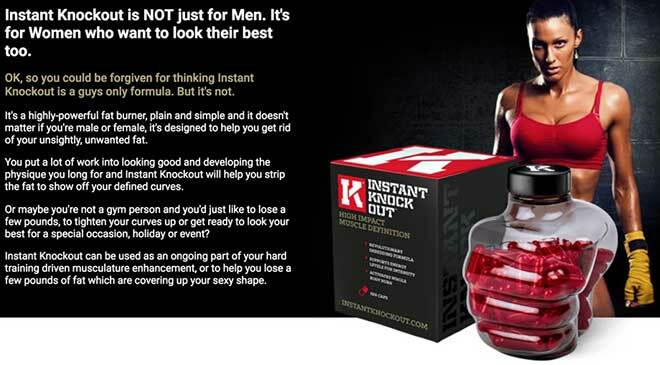 Instant Knockout is now available to all and has proven to be a big hit with gym-goers and other sporty-types of both sexes. It’s deemed to be equally appropriate for anyone in need of a good endurance and stamina boosting supplement and for active-type men and women who are hoping to get cut and lean. But how good is Instant Knockout? That’s a question we’ve been hearing a lot lately, so we decided to evaluate the formulation, take a look at some reviews, and see how powerful its punch is likely to be. Instant Knockout is designed to provide a faster metabolism that will burn calories more quickly and then get to work on stubborn stores of fat. 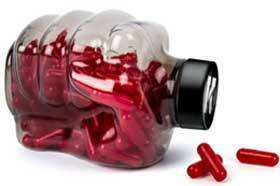 The formulation also provides hunger suppressants that keep eating habits in check. However, although many other diet pills do this too, it has to be remembered the Instant Knockout formulation is not a normal diet pill. The average Instant Knockout user will already be fighting fit and living a lifestyle that is more active than the average man (or woman) in the street. 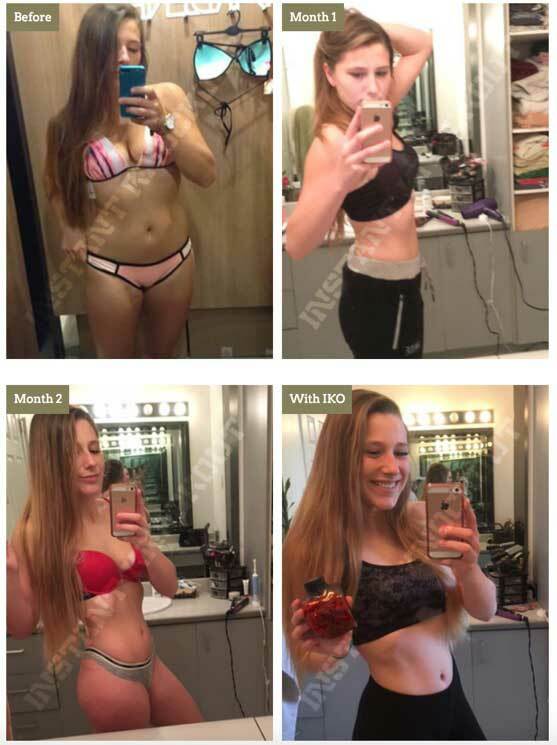 When incorporated into such a lifestyle the natural formulation of ingredients will burn away the stubborn fat most athletes have to suffer, uncover the muscle beneath, and help provide improved muscle definition. It will also deliver the energy boost needed to train harder and longer and attain better results during periods of high-intensity training. Vitamin B6 (5mg): Helps with energy synthesis and boosts the metabolism. Vitamin B12 (10mcg): Helps the body extract energy from food and assists the breakdown of fatty acids. Zinc (10mg): Boosts testosterone levels to help improve fat burning capabilities, provide extra stamina and strength, and encourages improvements in muscle mass. Chromium GTF (100mcg): Glucose tolerance factor (GTF) chromium is often added to sports supplements because it enhances the action of insulin and aids nutrient absorption. Green Tea (500mg): One of the healthiest diet pill ingredients in the world, green tea is packed with antioxidants; and scientific study shows it can increase energy expenditure and fat burning by up to 24 hours. Green Coffee Bean Extract (100mg): Provides a thermogenic fat burning chemical called chlorogenic acid. Supplementing with green coffee bean extract is also a good way to balance insulin levels and prevent sudden urges for sugary food. Cayenne Powder (100mg): A respected thermogenic fat burner that has scientifically proven appetite suppressing capabilities as well. Glucomannan (1,800mg): A proven appetite suppressant that makes the stomach feel full and reduces the desire for food. Caffeine Anhydrous (300mg): A caffeine-providing powder that is quickly absorbed and gets to work fast. Caffeine is a potent energy provider. 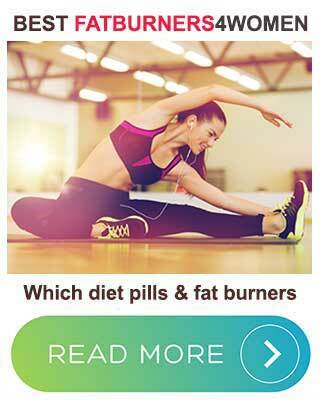 Research shows it also boosts energy expenditure and encourages thermogenic fat burning. Black Pepper Extract (10mg): The piperine alkaloid provided by black pepper helps ensure other ingredients are absorbed into the body more easily. Instant Knockout is favoured by many top athletes, including the fitness model and celebrity Alexia Clark, who is renowned for her ability to look good and is often said to have one of the leanest physiques in the fitness industry. Instant Knockout contains quite a lot of caffeine, so it won’t be suitable for people who do not tolerate stimulants well, but so long as the maximum dose is not exceeded side effects should not be a problem. However, the formulation should never be taken in combination with other providers of caffeine (including coffee and Coke). Nor is it intended for women who are pregnant or nursing a child. People who have medical conditions or are taking medicines should consult their doctor before use. Instant Knockout is a powerful fat burner and training aid that contains all the right ingredients to help people power-up their intensity while training, burn stubborn fat, and get a more ripped and chiseled physique. Not surprisingly, bearing in mind the quality of the formulation, customer reviews are extremely good. Instant Knockout is a top-notch product that’s ideal for any man or woman who is serious about their training and wants to look and feel their best in and out of the gym. Like a lot of top supplements, Instant Knockout has to be bought directly from the manufacturer’s website. 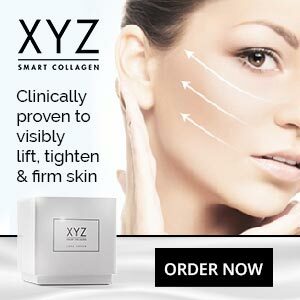 A number of enticing package options are available and customers are given a 90-day money back guarantee. The official website has a number of currency options and has been translated into multiple languages.